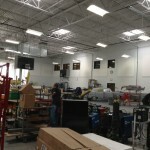 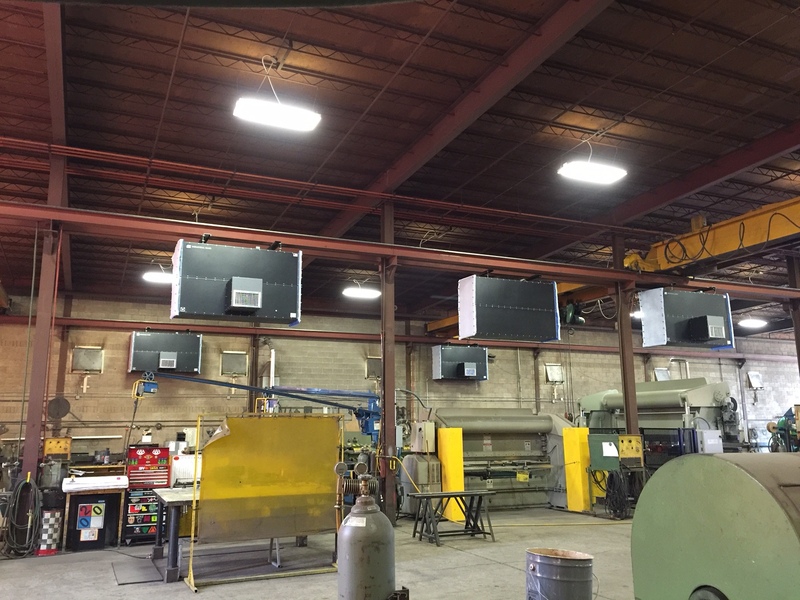 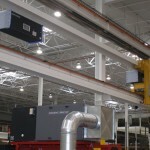 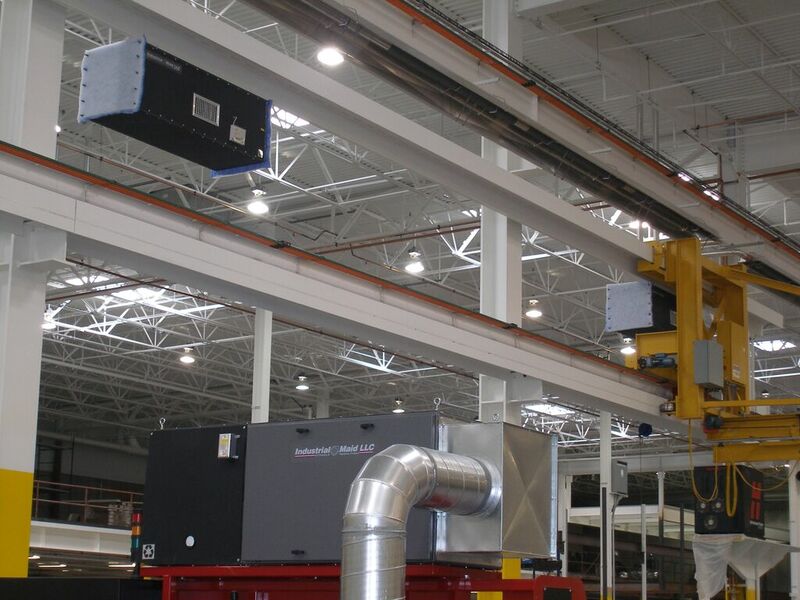 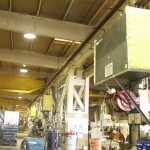 Forty-seven Ambient Air Cleaners installed in a welding manufacturing facility. 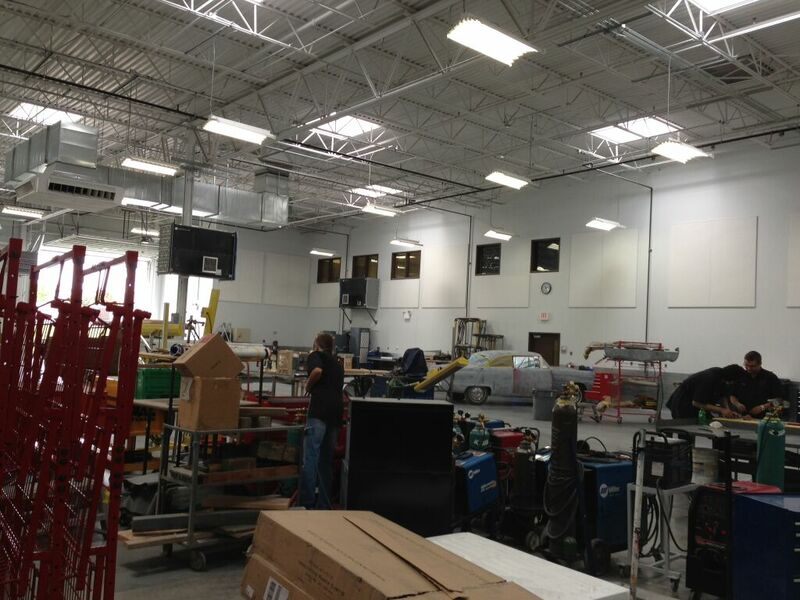 Installation included multiple Motor Starter Control Panels with remote start/stop systems. 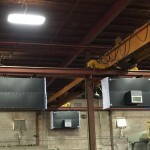 Photo shows two of six units installed above welding areas to provide additional air filtration of fugitive dust and smoke in shooting range manufacturer. 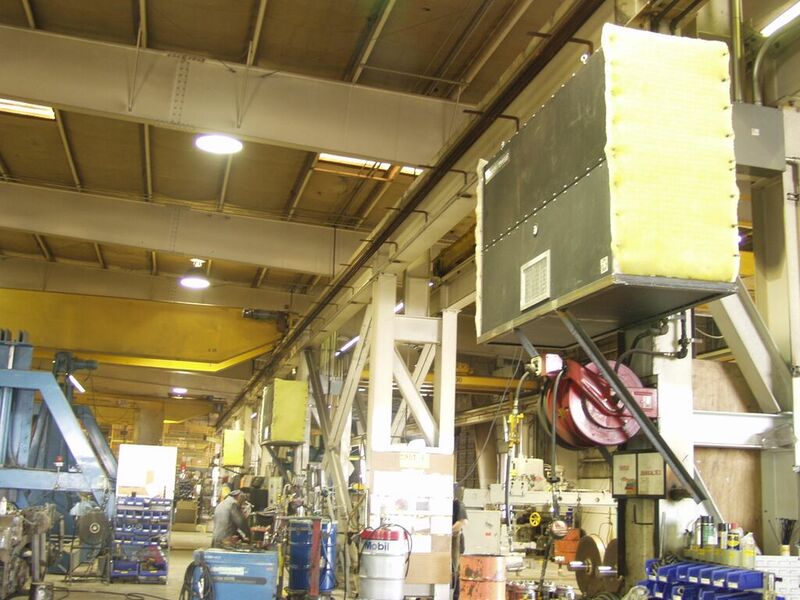 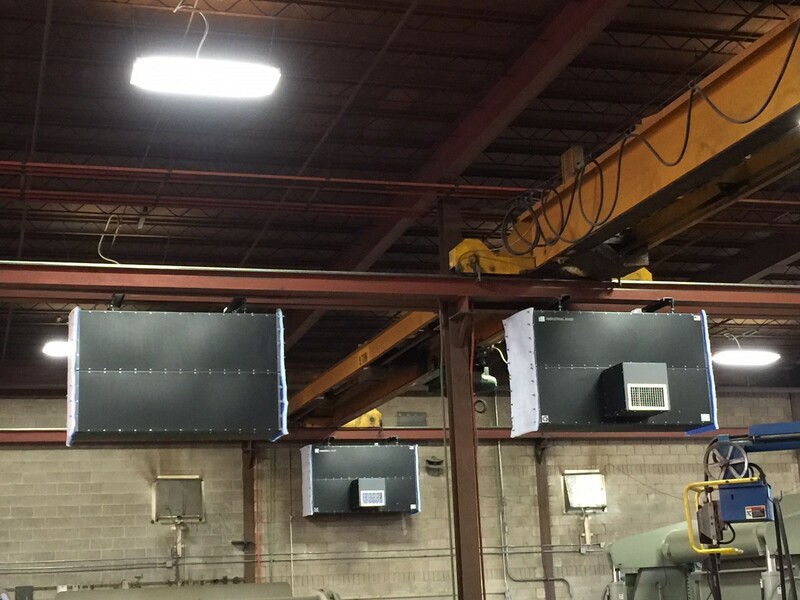 Photo shows 3 of 9 units installed in locomotive repair facility with heavy air-arcing and welding. 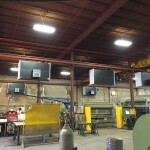 Two of five ambient air cleaners installed in auto body workshop training area at a college.